Are you Tired? Bored? Lonely? Just surviving? I invite you to . . .
A 4 months transformational journey for women like you who want to transition from stress, worry, and negativity and instead RESET their brains for a heart-coherent life full of happiness, purpose, and freedom to thrive. You want so badly to be "that woman." You know the one I'm talking about, right? the one with. . .
successful in her career path, clear eyes and purposeful steps that let's the world know she is valuable and can do anything she decides to do. a contagious smile that attracts people because they can sense her calm peace, and bubbling joy. the ability to show empathy and compassion at the same time she is assertive enough to forge her own path. You feel you are far from being "that woman." Instead, you tend to. . .
complain to your friends and family about your hard and unhappy life in all its variations (work, divorce, children, friends, etc.). read many self-help books and listen to inspirational podcasts without doing anything different. make many efforts to "improve" your life but fall flat on your face. Let's face it. . .
You are tired of struggling and want to recapture or develop the happy fulfilling life of your dreams. Transitions can be tough. 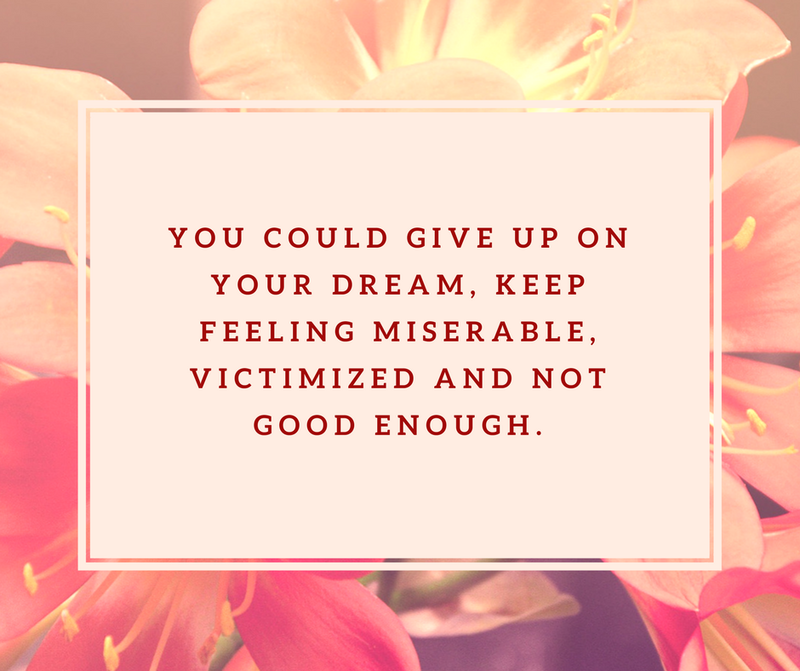 You thought reaching your next milestone would make you happy, but you have tried on your own to turn the tide of negativity, and are tired of failing time and again. You feel drained instead of fully alive. You keep falling into depression, anxiety and stress, and you fear that you can't get your life together. You are wondering. . .
Will I ever live my dreams and finding the happiness I crave, or will I continue to feel like a failure? The good news is that You DO have a choice! OR you could. . .
By the end of our journey together you would have learned to listen to your heart, love with gratitude, think with wisdom, and flourish! Fasten your seatbelt! Feel the wind under your wings! We are about to take off!! You might wonder why I have chosen to help you thrive instead of talking about the ever popular "happy." The ability to thrive is defined as the ability for a person to grow as a human being through good times and through life struggles. It is a very individual journey of living as experienced and valued by the individual. Every person's journey is different. How you get there is connected by the recognition that happiness and thriving are connected to elements such as finding individual meaning through relationships, courage, leisure time, what you love to do in life, building creativity, love, and connections. Thriving is the product of the pursuit and engagement of an authentic and purpose driven life that brings inner joy and happiness through meeting goals, being connected with life passions, finding the rest that renews and relishing in accomplishments through the peaks and valleys of life. Why can you trust me as your guide? I’m Dr. Ada Gonzalez, a Psychotherapist, coach, and change expert who has successfully worked with many people from different parts of the world for more than 30 years with tremendous success. I help women transform their lives. As an expert traveler, I can help you navigate important life transitions and safely conquer new challenges in your life while listening to your heart and designing your best self so you can enjoy a thriving life. I’m ON A MISSION TO MOVE WOMEN FROM SURVIVING MODE INTO THRIVING! I know what surviving mode is like. . . I grew up in communist Cuba. For many years, because of the political and educational restrictions, I was just surviving. Then at 18 years old I left Cuba for Costa Rica via Spain. On that journey I faced many challenges: different cultures, no money, no friends, and no family. Talk about surviving mode! Yet, in spite of the many obstacles, somewhere along the way I decided to include in my learning how to enjoy the life of freedom I had embraced. I had learned how to be miserable in Cuba, now it was time to learn how to thrive away from Cuba. I left Cuba with a great thirst for knowledge because due to political reasons I had to stop going to school after 6th grade. So, in the next 1 1/2 years in Costa Rica I finished 6-12 grades and in the next 5 years as a Foreign Student in the USA I succeeded in achieving a bachelor of music, with classical piano as my major. I then went on to finish a MA in Educational and Developmental Psychology. I not only had to conquer finances and relationships but also struggle and learn a new language. After finishing my Masters, I went back to Costa Rica, where I married and had my children. Because I wanted to be home with them, I started giving piano lessons. Although piano lessons were not too well-paid at the time, it gave me the freedom to be at home while making enough money to make ends meet. At the same time, I started having conversations with individuals and couples. Not knowing much about how to monetize those efforts, I did it mostly as a service to the community. Meanwhile, my marriage was not going well. I was trying to keep my family together but it was rough going. I knew I did not have many options while living in Costa Rica, away from my family. Yet, I promised myself I was not going to let the difficulties in my relationship rob me of my personal joy. Therefore, although I was not happy as a wife, I was able to keep growing as a mother and flourishing as an individual. After an interval of 11 years in Mexico, where I saw my children grow and thrive, we moved to the USA permanently in 1997. By then I was a Marriage and Family Therapist. For 27 years I had stayed in a very joyless marriage where the only plus side were my two children. Being a relationship expert already I had tried everything I thought I knew to make things better. But no matter how hard I tried, nothing worked! Finally, I decided to divorce and move from Michigan to Texas. It was not easy to feel I had failed at what I was an expert on. Yet, fast forward several years and I met a wonderful man who was committed for us to show up, own up, and grow up together. We have been married for almost 10 years now and our connection, joy, and intimacy only gets better each year. I started a doctoral program at the end of 2000, and by 2004, at the age of 52, I completed a PhD in Interdisciplinary studies with an emphasis on leadership development, adult learning, dialogue, and change. Because I have had to wade through all kinds of transitions all my life–cultural, personal, work and relationship–because of my extensive training, and through working with thousands of women, I have discover how it's possible to live a thriving life no matter the circumstances. That’s how I developed this program, Flourishing Heart: From surviving to thriving. Now I want to share it with the world! I want to share it with YOU! I love traveling and have been able to live in and visit many countries. That's probably why I envision this program as a journey. I want to invite you to Dare to dream again! Join me in this series of Transformative Conversations® that will relight the spark of hope and bring happiness back into your life. 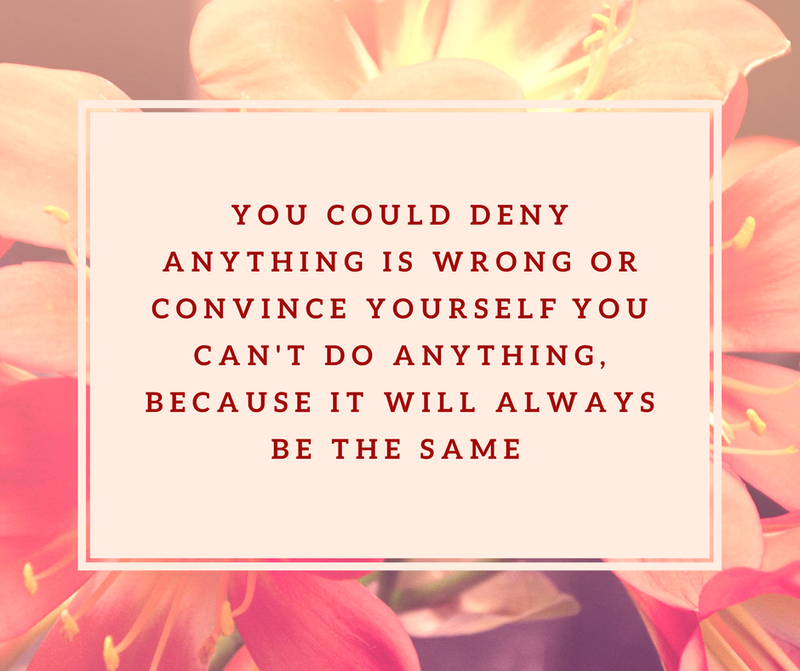 This is my signature coaching program for women who want to get out of their comfort zone, stop spinning their wheels, and start living their dream. It is a unique coaching package. I teach the basic knowledge, strategies, and practical skills that can help you rewrite your life story. Having the right mindset and attitude is the foundation for a happy life. Clients have told me that before we worked together they were stuck thinking that a happy life wasn’t even an option for them anymore. This program is for you if you can’t envision yourself being happy, are currently so busy that you hardly take time for yourself or for fun anymore, and your days have morphed into something that feels, in the best of days boring and stressful, and in the worst of days as if you are your worst enemy! How is the Flourishing Heart, From Surviving to Thriving, 4 months transformational program different from any other personal coaching program out there? This program will offer you. . . It will boost your self-confidence and self-esteem because creating a fabulous life requires a mind-shift. You'll RESET your mind for success. We’ll work together to empower you for long-lasting happiness and success. During the program, I’m your biggest supporter and trusted confidante. I’ll be there to support you as you focus on becoming more positive, I’ll be your right hand as you discover and practice what works for you, and I’ll help you persevere as you practice and develop new positive skills of being, acting, and relating. I’ll teach you what I have learn about adult development and how our brains and attitude help or hinder our life, amazing strategies that have helped thousands of woman and myself, and how it all applies to your specific issues and life. I will be more than a coach to you. While you are implementing this program I’ll act as your personal trainer and guide. I’ll keep you at the top of my priorities and will be truly invested in your happiness and end goals. We will develop a partnership for success. Bust the voices in your head saying you’ll never have the kind of life you dream of. Eradicate your fear of failure, or fear of success, and learn to act from your heart. Bridge the gap between your dreams and your actions so you don’t get hurt, or waste time and effort in your quest to enjoy a passionate, flourishing, joyful life. The Flourishing Heart Program is not your typical coaching program. I'll show you how you can start focusing on what works and move from negative to positive from the start! Don’t lose another moment! Start today! A positive close relationship with yourself and your dreams that works well. The strength and resilience to step out of your comfort zone and develop the amazing heart coherent life you were meant to have. The personal satisfaction that comes from taking responsibility for your own issues instead of complaining and criticizing what others are doing. The freedom of developing a healthy emotional life that enjoys focusing in developing tolerance, kindness, compassion, and positive action. An open communication style that creates understanding and connection with others. The trust and comfort of being able to reveal yourself fully, honestly, and directly. The development of dreams and future accomplishments. The ability to RESET your brain from negativity to positivity, forgiving and re-developing trust, respect, and acceptance with yourself and others in your life. A reawakening of a good connection with God and your best self that strengthens your self-respect. Complete clarity on how to sustain a happy flourishing heart congruent life over the years. This transformational Flourishing Heart program has 16 modules with information, suggestions, questions, worksheets, lists, and tips. You will gain knowledge and practical skills for having a fabulous life. Be prepared to explore, practice, and change. In our 4 months together you will focus intensively on who you are and who you want to become. Here are the highlights of your journey. Preparing for the journey: Are you ready? Logging your flight plan: Where are you now and where are you going. What attitude are you taking with you and why this is important. Maintenance: What's in your heart. What are your blockages and what makes your blood flow with excitement. Balancing the weight: Leaving behind excess baggage. Warming up: Traveling light to your dream destination. 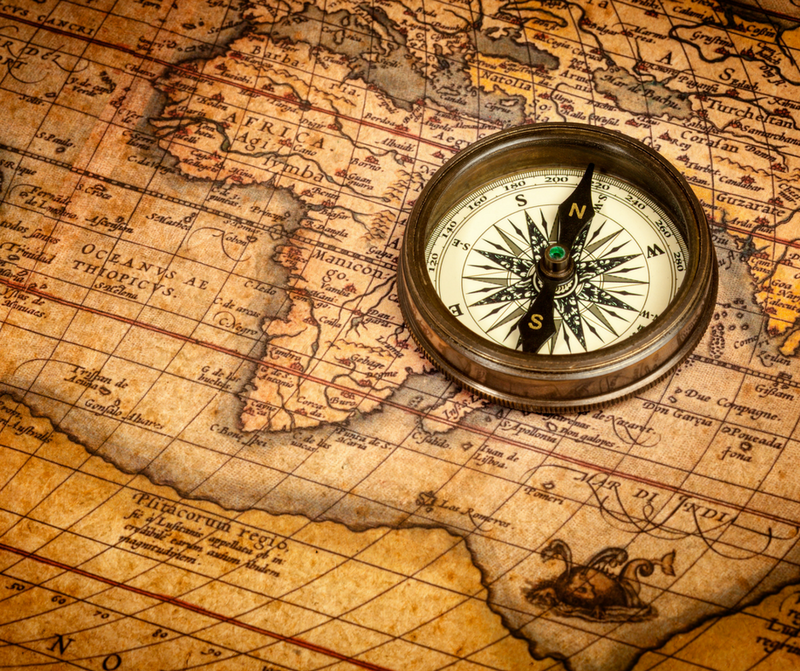 The coherent traveler: Can you plan and visualize? No matter how much you prepare, you need to start taking action. You don't move anywhere if you are in the tarmac just warming up the engines! In months 2 and 3 you will learn as you go how to. . . The coherent traveler - 2: Do you have a strategy to thrive? Sometimes everything goes as expected, at other times you need to change plans at the last minute. But you can continue to enjoy the journey as you keep learning how to. . .
After the journey: Are you taking the time to consolidate and incorporate? No journey is ever totally over. What you see, experience and learn changes you and stays with you. In the last month you will consolidate your gains and incorporate them into your daily life. You will know how to. . .
Find enjoyment in thriving each day, no matter what! Through years of working with individual women, I realized that there was a specific recipe for success! And if you miss any of the steps you will NOT get the outcome you want! Because I love traveling, and because I perceive life as a journey, I developed this program in the same way I prepare for a special journey. So, This step-by-step program is only for women who are serious about creating an extraordinary heart-coherent life and willing to go full-steam ahead to develop a lifetime of happiness in 4 months tops! If you are serious about creating an extraordinary heart-coherent thriving life and willing to go full-steam ahead to prepare for a lifetime of happiness in only 4 months tops, the time is now! You have to really want this! You also need to go and do the work. This is not a sit on the couch and not do the work kind of program. How do I claim my spot right now? Because I have limited spots for this program, there is an application process to follow. When you click this link to schedule a call with me on My Calendar. Because I only accept in the program women who are totally ready to work the program and are a good match for the program, When you go to schedule the call you will be directed to fill out a questionnaire with some soul searching questions. Filling it will let you book a call with me, where we will explore how the program fits your needs, what your investment will be, and decide if you are a good fit for the program. This step-by-step program is only for women who are serious about creating an extraordinary heart-coherent life and willing to go full-steam ahead to develop a lifetime of happiness in only 4 months tops! Amazing insights and a brand new outlook on yourself when you are willing to show up, own up, and grow up. Unlimited access to all the program content, including any future updates of the program. A live Q & A session every week where not only questions will be answered, but the first 2 people to ask for live coaching will benefit from "the hot seat." Training videos with PDF’s of the content of the 16 modules. It includes workbooks with questions, suggestions, and tips. Life access to my Facebook Page “FlourishingHeartInspiration” where I regularly post valuable tips you can try to maintain your life always thriving and joyful. Did you hear bonuses? . . . Yup, I include bonuses with your investment! Your investment in the program is normally $4,000.00 if paid in full. I'm doing a special 1/2 price "fast action" Special for $2,000.00 for the first 15 woman that schedule a call with me and register while on the call, before June 22nd. Once those first 15 spots are gone, you will have to pay $2,500 if you pay in full. This is for the program that is starting on July 9th and will meet every Monday after that at 4:00 pm. (If you can’t make it to the calls, all calls will be recorded and you will have access to then.) Because I also understand that everyone has unique needs and responsibilities, I’ve created a payment plan option: 4 monthly installments of $750.00 each for a total of $3,000.00. You need to pay the first installment at the time of registration and the rest once a month for the next 3 months. I can help you quickly learn how to have an amazing thriving life, or you can keep trying on your own till you figure it out or end up depressed and discouraged! I’m only one woman and I believe in giving myself fully to my clients. Spots will fill up quickly, and I can’t guarantee how long it will be until there’s room in my program again for more clients. 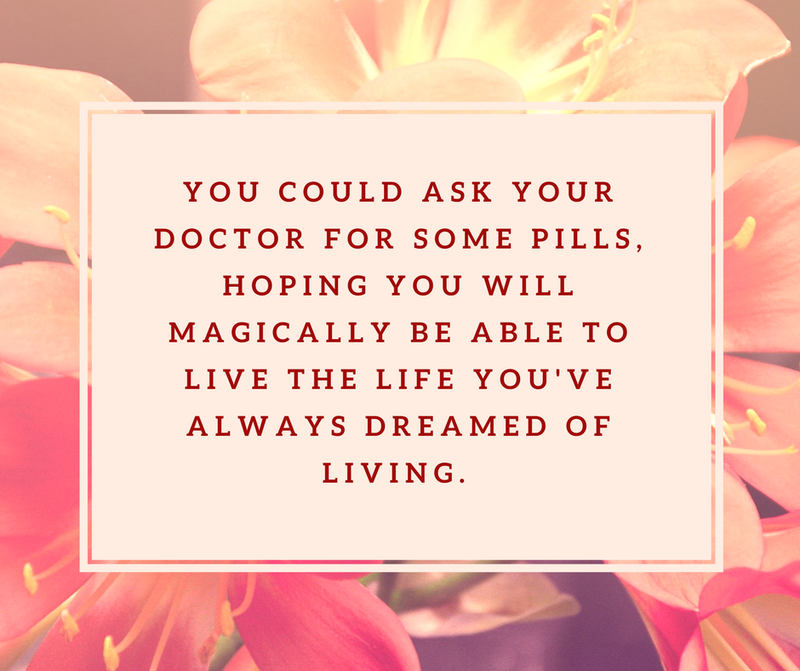 If you are serious about creating an extraordinary heart-coherent thriving life and willing to go full-steam ahead to prepare for a lifetime of happiness in only 4 months tops the time is now! I’m selective about who I work with. You have to have a winner’s attitude and be willing to work on yourself! I only make a limited number of spots available for working with me each month, so go ahead, claim yours right now before someone who wants it more grabs it first! If you want to start right away and instead want to work individually with me, schedule a call on MY CALENDAR .